Like to shop? TreeTop Sports has what you need, whether you are playing golf, skiing, snowboarding or cross country skiing! Looking for a memento of your visit to Bretton Woods and New Hampshire? 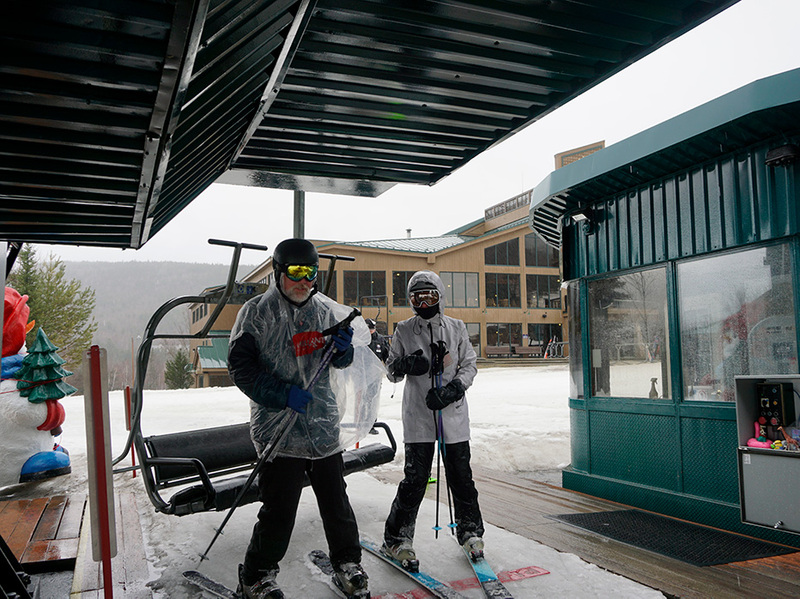 Visit Stickney Street or the shops at the Bretton Woods Base Lodge for that perfect something. Forget some essentials? Local shops have all the grab n' go essential items that you need. Mount Washington Resort has many shopping options for you to choose from, and gift cards make the perfect gift for anyone. Stickney Street is a great place for shopping and more! Follow any of the staircases in the Great Hall of the Omni Mount Washington Hotel down one floor and you will find Stickney Street's collection of shops, lounges and much more! An innovative children's shop, conveniently located in Stickney Square, is designed to "Let Your Imagination Run Wild!" You may create your very own critter, or have one made for someone special, complete with name, birth certificate and selected outfit. Choose from bear, moose, beavers, wolves, horses and cows. A variety of toys and games, as well as children's clothing and accessories, are also available. Call Critters directly at (603) 278-4285. Located along Stickney Street and offers resort logo apparel and souvenirs, as well a representation of NH made products and gifts that will compliment any home. Come check out apparel from companies such as Patagonia, Exofficio, Kuhl, Prana, Chalet, Habitat and more. For more information about Cabot's please call (603) 278-1000, ext. 8623. Located across from the Post office in Stickney Square, Morsels offers the best cappuccino, espresso, coffee, tea and pastries straight from the resort's talented pastry chef and team. Pastries, sandwiches and salads are available daily for your convenience. Come by and treat yourself to one of your favorite treats. 603-278-1000, ext. 8622. The Bretton Woods Post Office is available to handle your incoming and outgoing mail. The zip code for Bretton Woods is 03575. Located across from Stickneys. Electronic games and billiards for the young, and young-at-heart. Located right in the middle of Stickney Street. Serving lunch year-round and dinner during select seasons. Guests can enjoy indoor and outdoor casual dining with a panoramic view of the Presidential Mountain Range or unwind in the lounge. Call Stickney's Restaurant at (603) 278-8614. Just down the street from Stickney's, The Cave is a prohibition-era speakeasy featuring live evening entertainment within its stone walls - an experience and atmosphere not to be missed!